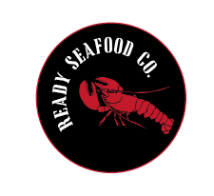 Facilities - Ready Seafood Co.
Ready Seafood is located on the working waterfront of Portland, Maine. Our live lobster wholesale facility features a 100,000 lbs. capacity Purge Tank and a 150,000 lbs. capacity Packout Tank. Our spray room gives us an additional 58,000 lbs. holding capacity. Lobsters are graded by hand and with our new mechanized Maralec grading system and our unique two tank-one touch system ensures our lobsters are only handled once before shipping. We pack and ship 15 million pounds of lobster annually from our Portland facility to all destinations domestic and international. Maine Seafood Ventures is our lobster processing company. Located in Scarborough, Maine we utilize the latest technology to produce superior quality lobster products, including fresh or frozen lobster meat, whole frozen lobster and frozen lobster tails. We can customize order size and packaging to meet any customer needs. Ready Tubing is a brand new, state of the art lobster holding facility in Scarborough, Maine. This new tank allows us to hold and store over 150,000 lbs. of lobster. This new facility enables us to purchase lobsters when quality is high and supply is abundant to ensure that we have a constant supply of premium lobster year round. Lobsters are held in individual compartments to ensure a low stress environment. Temperature, salinity, dissolved oxygen, ammonia, nitrate, nitrite and pH are all monitored daily. Our new lobster "tubing" facility greatly expands our capacity to meet our customer's needs throughout the calendar year.